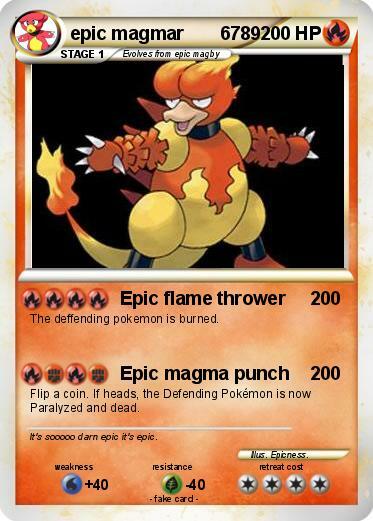 The deffending pokemon is burned. Flip a coin. If heads, the Defending Pokémon is now Paralyzed and dead. Comments : It's sooooo darn epic it's epic.